JUST REDUCED AND ADDED $2500 allowance for aluminum fence. 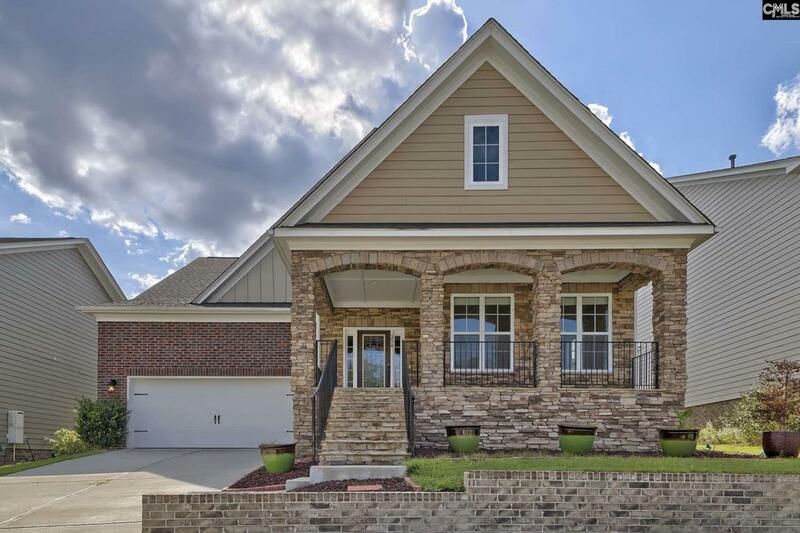 Patio style living in The Village at Woodcreek Farms. This well maintained home has a large master suite on main level with private bath, separate walk-in shower, garden tub, double vanity and large walk in closet. Second bedroom with full bath also on main level. Open gourmet kitchen with GE Profile appliances, gas cooktop, double ovens, granite countertops, stainless sinks, lots of stained cabinetry, large island with bar that seats up to 4 people. Formal dining room with coffered ceiling as well as office all on main floor. This home has lots of storage and very large closets in all bedrooms. Two large bedrooms upstairs with shared bath. Hardwood floors on main floor with exception of bedrooms, tile in bathrooms and laundry. This home is looking for a new owner.